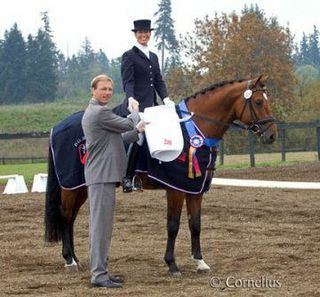 Quailhurst owner and trainer Deborah Hausman will be teaching a dressage clinic December 5-6 at the Hunter Crest Farms in Boring, Oregon. the top teachers in the industry. She has trained and shown Training Level through Grand Prix and has competed internationally in the Young Horse Program. She is a USDF Bronze, Silver, and Gold medal winner and the breeder/owner of top dressage and jumping horses. Her horses have won multiple ODS, USDF Regional, and USEF Horse of the Year titles. As a trainer and clinician, Deborah is dedicated to teaching the correct foundation for the rider in order to train a happy horse. Riders of all ages and levels, including riders from the Hunter/Jumper discipline, are encouraged to attend. Special thanks to Heath Curry of Hunter Crest Farm for hosting the clinic. For more information about clinic registration, please contact Heath.